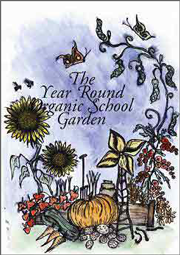 SEED are a national network of educational centres with many years of experience in Primary and Post Primary environmental education, specialising in all aspects of organic school gardening. Our aim is to establish Living Classrooms in every school to demonstrate that school gardens have unlimited cross curricular potential particularly tying in with SESE, SPHE, Art, Languages, History and Maths. Teachers will recieve support and training in establishing school gardens. Children will learn where their food comes from and how it grows. Parents will be assisted in providing a healthy diet for their children.